In a world that is completely dependent on technology, how can big businesses, organizations, enterprises and sectors stay behind? The need for technology is increasing day by day and hence there are so many organizations that are focusing on innovation and creation to make their name big in the market. Technology is the key to the success of any organization and hence more and more technologies are being incorporated into many different companies. The need for technology is increasing which is the reason why the need for its management is also increasing. Technology management is a concept that is gaining a lot of popularity because it is needed in abundance by various big organizations. It is the process and art of handling all the technologies of an organization and making sure that they are in the right use and are absolutely safe. 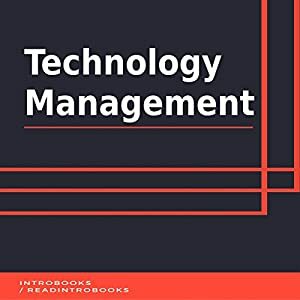 A technology manager has the right and sound knowledge for each and every aspect when it comes to technology and also when it comes to management. Technology management is the trendiest occupation out there and its need will never end till the time we are dependent on technology.